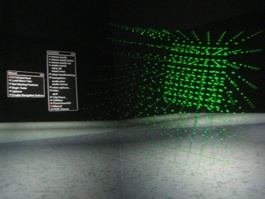 3D - EOG calibration of visual attention. 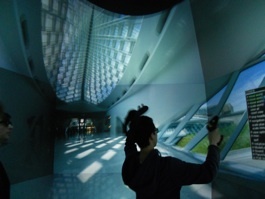 Zhang testing color selection in Beta CAVECAD TM, Calit2. Photo by Erik Jepsen. 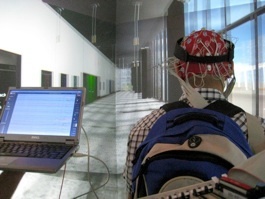 Brainwave (EEG) measures of human responses during way-finding in the StarCAVE, Calit2, UCSD. 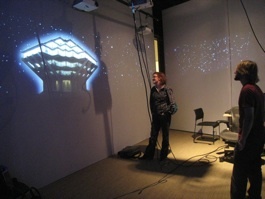 Immersive 4D visualization of architectural and urban settings in the StarCAVE at Calit2, UCSD. 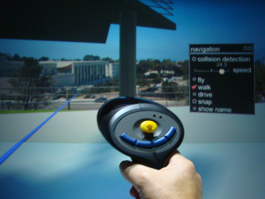 StarCAVE wand controls movement through virtual space at Calit2. 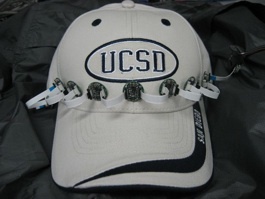 Non-contact wireless EEG electrodes used to concurrently measure brainwave and human behavior in virtual space. 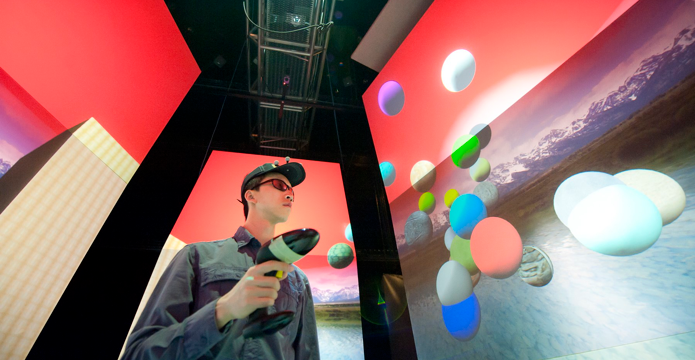 Recombinant Media Lab offers moveable soft-wall immersive visualization environment. 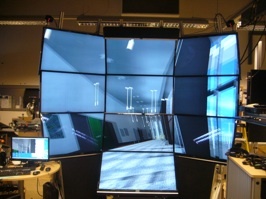 Portable CAVE systems offer global networked or individual office installations.